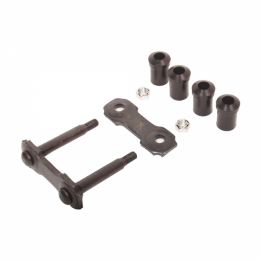 Rear leaf spring shackle kit. 2 kits required per car. Includes plate, bushings, bolts & nuts. Made with rivet ends. Top quality, made to last.